Are you a newcomer to the world of keyword research and SEO? If your answer is yes, then you’ve come to the right place. You should begin by reading my Basic SEO guide to learn where keyword research fits into the big SEO picture and my Keyword Research Beginner’s Guide for a crash course on what Keyword Research is all about. But for now, let’s us begin with a short recap on how Keyword Research works before we look at the tips and strategies to help you on your keyword research journey. Having strong keyword research is a key method in having a robust SEO rank, and driving organic traffic to your business. It also builds authority and legitimacy for your business. In a nutshell, keyword research refers to the process of getting an insight into what are the words and terms people are keying into search engines (such as Google). When you understand what the terms and words people are using and why, you can then use them to drive traffic to your website through search engines, by providing useful and relevant information for readers. The more useful your website content is for the user, the higher Google, Bing or Yahoo will place your website among the search results. Why does my business need keyword research? Depending on the nature of your business, the level of competition online, or the behaviour of your target audience, some keywords will be much more effective in pushing your rank up on Google than others. The key is to avoid choosing keywords that 100, or even 10 competitors are fighting to rank for, but to pick out obscure yet highly useful search phrases with little to no competition and leverage on them. This is why keyword research is critical if you want to take your online marketing seriously. You will have an SEO game plan and know which keywords to rank for, to improve the authority and get more eyeballs on your brand and business. Even if you aren’t interested in SEO, and you just want to focus on using paid media to drive traffic to your business, keyword research is still a critical element in your ad campaign as you need the right words to target the right audience. How do I go about doing my Keyword Research? While all these may sound complicated for newcomers, it really isn’t that challenging once you understand how SEO works. You should check out my Basic SEO Guide to have a better understanding of the whole process, or feel free to send me a message if you need to speak to a marketing consultant. These are some of the methods that I use to help choose a list of keywords when I am working with my clients. 1. Create a list of keywords and your own keyword stacks. Before you begin, you need to stay organized and make sure you cover all the bases in your research. Start by creating a new excel file and save all the keywords that you’ve come across as a depository for all potential keywords. Use colour codes to rank them accordingly. For example, use green to indicate low competition keywords, yellow for medium competition and red for high competition. This way you can easily see what are the keywords you can use at a glance, to build your own keyword stack. A keyword stack is a group of keywords that you should place in your article that will help your content (and your site) rank on Google. Let’s say you want to write a piece of content about baking cupcakes with £15 or less. During your research, you found that “cupcake,” “baking,” “cake ingredients” are high competition words. Medium competition words are “great bakes UK,” “homemade cupcake”. When you start writing your content for your blog (or outsource the writing to a content writer), you can use this stack as a guide for what keywords to add into your article. With the demand for strong keyword research growing, there are several free tools available online for that any online marketer can use. One such tool is Neil Patel’s Ubersuggest. It’s a straightforward and simple tool which can help you generate hundreds of keywords with a single click. Just type in your business niche, and you can have a long list of keywords ready for use. Another free and classic tool is the Google Adwords Keyword Planner. It’s designed initially for Adwords marketers, but it’s also an excellent tool for keyword research. To use the Keyword Planner, you need to have an Adwords account with Google first. Once you have set up your account, just type in the keywords you wish to rank, and you’ll quickly get a list of keywords that you can use. With these 2 tools alone, you should be able to build at least a hundred or more keywords. Now, these keywords are most likely super competitive. After all, these keywords are considered low hanging fruits for SEO. Instead of wasting time and energy on these difficult-to-tank keywords, you need to know how to use these keywords to create Long-Tailed Keywords that have low competition and highly effective for SEO. Because every online business wants to be number 1 on Google, short 1 to 2-word (or even 3-word) keyword phrases is useless in boosting your SEO rank, because the competition is too stiff. Search engines are better at retrieving results compared to a decade ago, which means people are using longer search terms to find information online. That’s why the key to rising to the top is the clever use of long-tailed keywords in your content. Some might even say that long-tail keywords are the holy grail of SEO itself. There are a ton of premium and useful tools that you can buy to generate a list of long-tail keywords. But as a beginner, you shouldn’t pay for premium tools unless you need the advanced features. Here is how you can build your own list of long-tailed keywords for free – simply by using Google. Let’s go back to our bakery example. You realized that “wedding cake toppers” has a high search volume of 10,000 searches per month. You’ll find phrases like “wedding cake toppers funny,” “unique wedding cake toppers,” “traditional wedding cake toppers,” and more. These phrases are your long tail keywords. Just copy these into your excel sheet, and repeat the process with a slightly different search variation (such as “wedding cake toppers UK”), or click on one of the related searches and get another list of 8 related searches. Keep doing this until you have a solid list of long tail keywords, and you’ll have yourself a list of phrases you can focus your content on. Now that you have a list of short and long tail keywords, you should be able to plan your content accordingly to achieve optimal SEO results for your website. But there are still a few ways to take your keyword research further, and that is to look into the intent of your potential clients. More specifically, find out what is going on inside their minds. Why are they having this problem? What are they trying to solve when they are running this particular search term on Google? Informational intent: People want to know information about a specific topic. Commercial intent: People are looking to make a purchase soon and are doing research before buying. Transactional intent: People are ready to buy and looking for the right place to spend their money on. If your website is commercial (offering products or services), stick to keywords that have the strongest commercial intent based on the sites that are currently highly ranked. If your website is informational (such as blogs), stick to keywords that have the highest informational intent. When you are shortlisting your search keywords, you’ll want keywords that people are using. Keywords with low search volume are great because they have low competition, but they generally bring in the least amount of traffic. Also, it’s pointless to target a keyword that no one is looking for, or nobody is going to see? The figure under the search volume is only an estimation. It is not an exact figure, as tools like Google Keyword Planner recalculates the search volume on a monthly basis so you may find discrepancies on other tools. Search volume does not equate to search traffic. That’s because most people don’t click on every single link that appears in the first page of the search results. Most users click on the ones that are the most relevant to their intent. Whenever possible, try to achieve a “sweet spot” of high search volume in relation to low-difficulty/competition. The best way to determine the difficulty or competition level of the keyword is to just look towards your competitors. How do you know if the keyword you intend to target is difficult to rank or not? Simple – you check out your competition first. Page Authority (PA) is a metric that predicts how well a particular page will rank on search engine result pages (SERP). Page Authority is a score that ranges from 1 to 100. The higher the score, the greater the ability the page has to rank. Domain Authority (DA) is a similar metric, but instead of ranking just a single page, it ranks the entire website. A website with a low DA can still have a high PA if it nails the user’s intent perfectly. A website with a high DA will usually equate to high PA on their pages. Examples of high DA sites would be Forbes and Bloomberg. You can install a free Chrome extension called MozBar, which allows you to quickly see the PA and DA of the websites in the search results at a glance. If you see the first page results having very high DA scores, it usually means that you’re going to have a hard time competing with the top contenders. However, if the top results are all websites with low DA with medium to high PA, you might still be able to outrank these sites. Click on those sites and study the web pages. Is the information updated? Is the design outdated? Is it responsive? Is the Info relevant? If the answer is no, you should be able to outrank the top spots if your content is relevant, timely and build for mobile users. Now that you have a list of keywords at your disposal, including all the metrics that you need to determine which ones are viable for your own SEO, the next logical step is to categorize them into topics. This is where your keyword stacks will come in handy. By grouping keywords and phrases into stacks, you’ll be able to come up with potential topic titles to build your content. But write about topics, and not about keywords? In the early days of SEO, marketers just need to stuff a piece of content with keywords and their website will easily reach the top spot. But now Google no longer wants to rank sites based on how often a keyword shows up on a piece of content. Today, Google wants to bring the most relevant content for its users. That means the relevance of your topic and content is much more important for SEO than anything else. With a clear direction for your content topic, based around the keywords you are ranking for, you’ll be able to fulfil the requirements given by Google in order to reach the top spot on Google search results. The most direct way to come up with topics is to simply ask questions that your target audience want to know. You can write a piece of content with the topic “Budget Baking in UK: How to Bake Cupcakes for £15 or Less”. Now that you have the topic in mind, you can then integrate the words that you have already planned in your keyword stack into your article. How that you have reached the end of the guide, you should review the tips and strategy I’ve covered again before you proceed. The process of keyword research will most likely take up the bulk of your time, but all the effort will serve you well as you can always fall back on the info as a guide for the content for your business blog for months, or even years to come. Should you ever feel lost in all the research work, you can always seek out help from professional SEO specialists to help you out. Murray is a digital marketing consultant based in the UK. 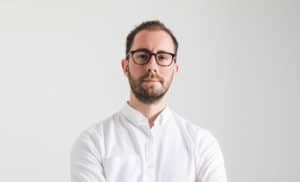 He is the owner of his own marketing agency MurrayDare.co.uk since 2016 and has helped many businesses and startups achieve online success with his robust marketing experience in the digital world. As an innovator and entrepreneur, Murray understands the marketing challenges that businesses face today. He also has several startup projects under his belt, including Willdiffer and Norfolk Stays. To work with Murray, click here to drop him a message.